Taking advantage of the utter confusion prevailing at the top policy level on the Land Acquisition Act (LAA), 2013, for which an amendment ordinance was floated for the third time by the Government of India May this year, top industrial house, Essar Power, is alleged to have "forcibly" acquired land it had sought for a coal corridor it is constructing from a nearby jetty to the 1,200 MW power plant at Salaya, Saurashtra region of Gujarat. 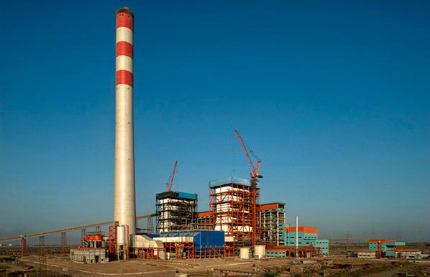 The acquisition took place, say sources, following Essar Power receiving official nod for acquiring the land without invoking the consent clause or going in for social impact assessment, which were the most important provisions of the LAA, 2013. The NDA government in Delhi is seeking to remove these provisions through its controversial ordinance. In a mid-night swoop, say sources, the company “forcibly” took possession of farmers’ and common grazing land in Mota Maanda, Parodia and other nearby villages of Khambalia taluka of Devbhoomi Dwarka district of Saurashtra region. The operation took place between the night of June 30 and July 1. It took place with the help of local armed cops under the direct supervision of the district superintendent of police, the district collector. 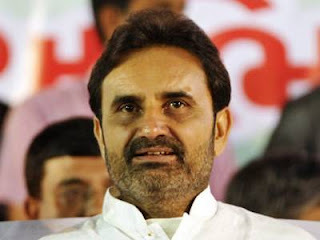 Meanwhile, the midnight operation has heated up the political atmosphere, with Congress’ national spokesperson Shaktisinh Gohil saying that this suggests the government and the top corporate house are "hand-in-glow", caring little for farmers’ rights. Local MLAs from Jamnagar and Dwarka Dharmendrasinh (Hakuba) Jadeja, Merambhai Ahir and Raghavjibhai Patel are up in arms, supporting farmers whose land has been lost. The company it is said, had sought 17,69,986 square metres of land for building the corridor. When the company floated the proposal to acquire land, the price it was officially asked to pay for the land was very low, about the same as the government-assessed rate, jantri, which is generally two or three times lower than the market rate. The district collector took the final decision to allow land acquisition for Essar. Objecting to this, Gohil said, “When Essar proposed the coal corridor, the LAA came into force. Yet, ignoring the LAA’s provisions, which would require consent and social impact assessment, as also four times the amount of the price of the land, and taking advantage of confusion on it at the highest level in Delhi, the state government announced the award”. “Fertile land around the common grazing land was forcibly taken away from farmers by applying the already abrogated 1984 land acquisition law. The matter is currently pending before the Gujarat High Court, which has ordered a stay on government action on the ground that the land cannot be acquired without consent of concerned farmer”, Gohil said. In the meantime, fear has come to stalk farmers that Essar Power, which wants to build the corridor to transport coal from a nearby jetty, would additionally pollute the farmlands in the vicinity, with the government failing to ensure an assessment of the destruction caused to the environment. Putting up a list of demands, Gohil, who is former Opposition leader, said, the Gujarat government must act against the officials who worked in favour of the corporate house by acquiring land under the already dropped colonial era land acquisition law. “All common grazing land which Essar has taken should be returned to the farmers, and no land should be taken from the farmers without their consent”, he added in a statement.